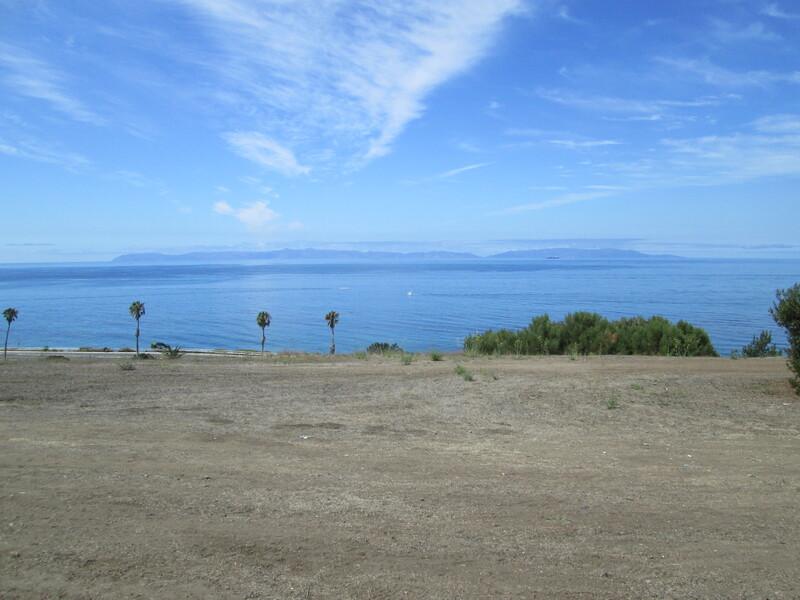 When Martine and I were at Old Fort MacArthur on Saturday, we had a perfect view of Catalina. It was the first time in all my years in Southern California that I was able to see the entire island at once from the mainland. That indentation toward the right of the island is the Two Harbors area, which came across crystal clear. The island not only looked clearer, but also closer, almost ten miles closer than it usually does. The point from which I took the above picture is probably the closest point on the mainland, give or take a few hundred feet, to the island, which is some twenty-odd miles off shore.